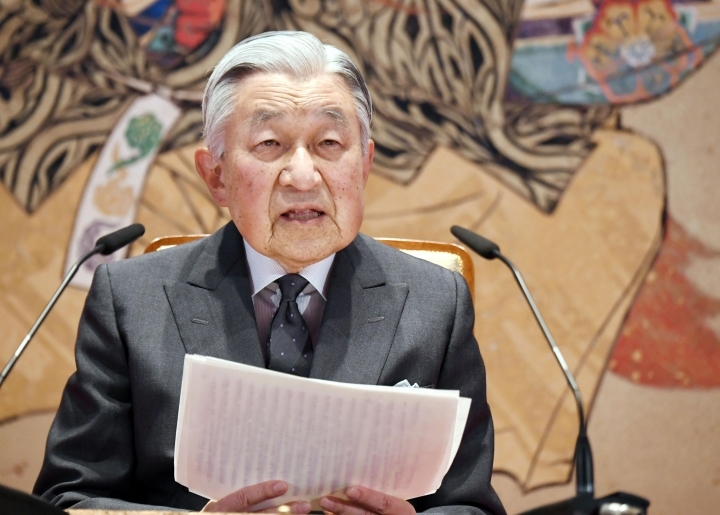 TOKYO — Japan's Emperor Akihito, marking his 85th birthday — his last before his upcoming abdication — said he feels relieved that his reign is coming to an end without having seen his country at war and that it is important to keep telling younger people about his nation's wartime history. 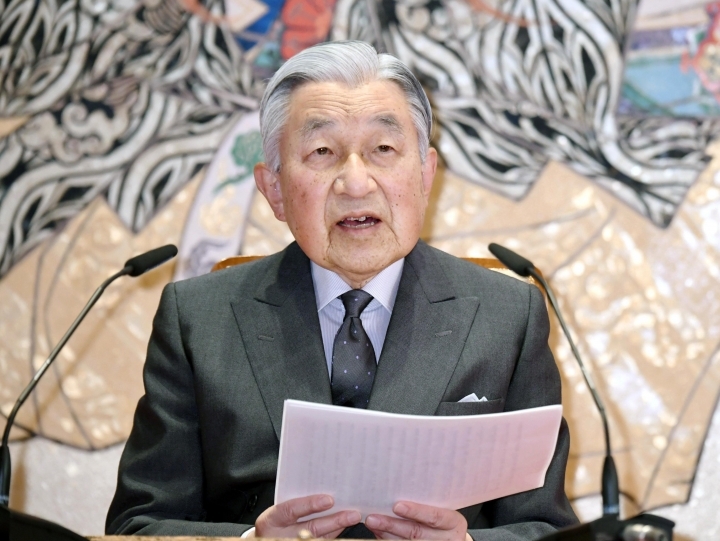 "It gives my deep comfort that the Heisei era is coming to an end, free of war in Japan," Akihito, his voice trembling with emotion, said at a news conference at the palace that was recorded this past week and released Sunday. 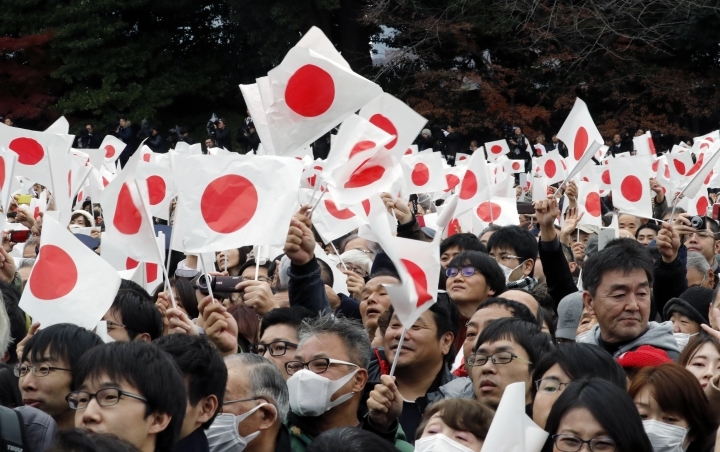 "It is important not to forget that countless lives were lost in World War II and that the peace and prosperity of postwar Japan was built upon the numerous sacrifices and tireless efforts made by the Japanese people, and to pass on this history accurately to those born after the war." 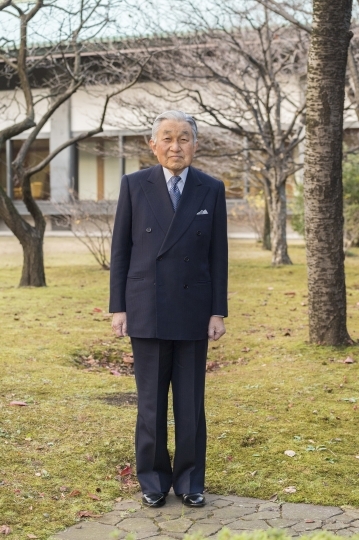 Akihito's 30-year reign of the Heisei is the only era without war in Japan's modern history. 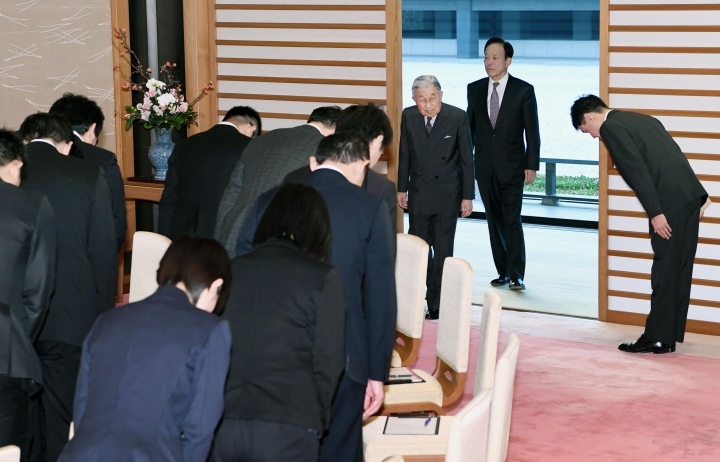 Praying for peace and making amends for a war fought in the name of his father, Hirohito, has become a career mission for Akihito, who succeeded the throne in 1989. 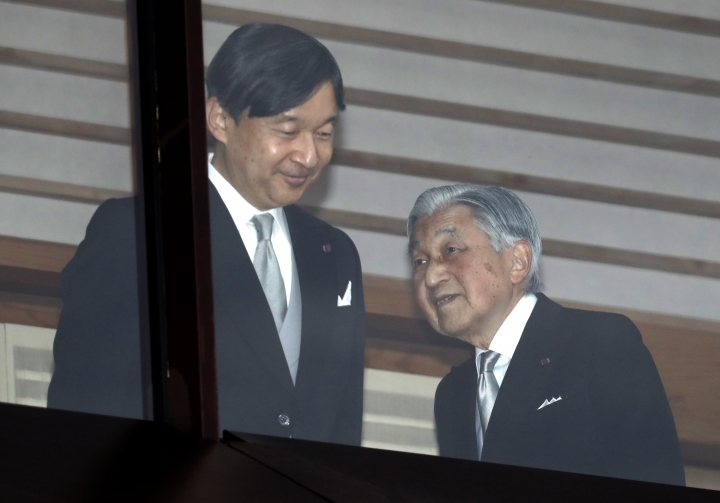 Akihito is set to abdicate on April 30, to be succeeded by his eldest son, Crown Prince Naruhito, on May 1. 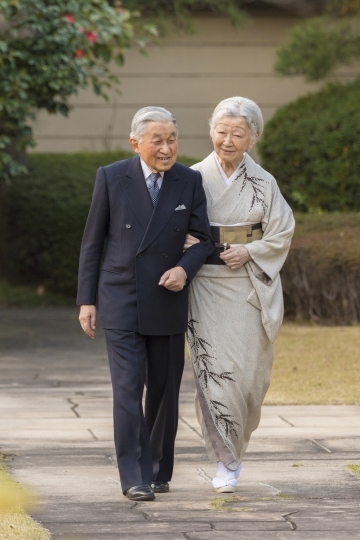 Sunday's birthday celebration is Akihito's last in his reign. 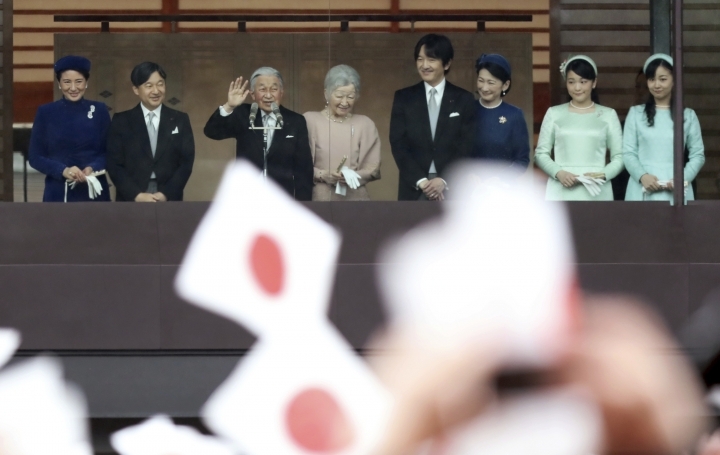 Tens of thousands of well-wishers who gathered at Tokyo's Imperial Palace to celebrate the occasion cheered and waved small rising-sun flags as Akihito and his family appeared on the balcony to greet and thank them. 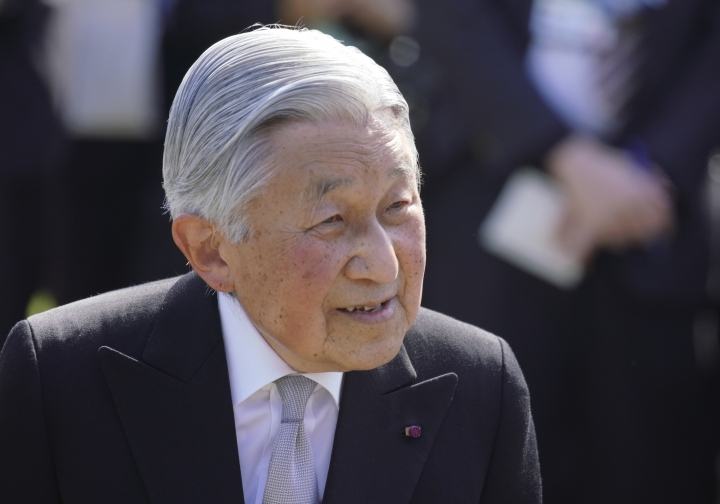 As emperor, Akihito has made unprecedented visits to the Philippines and other Pacific islands conquered by Japan early in World War II and devastated in fierce fighting as the U.S.-led allies took them back. 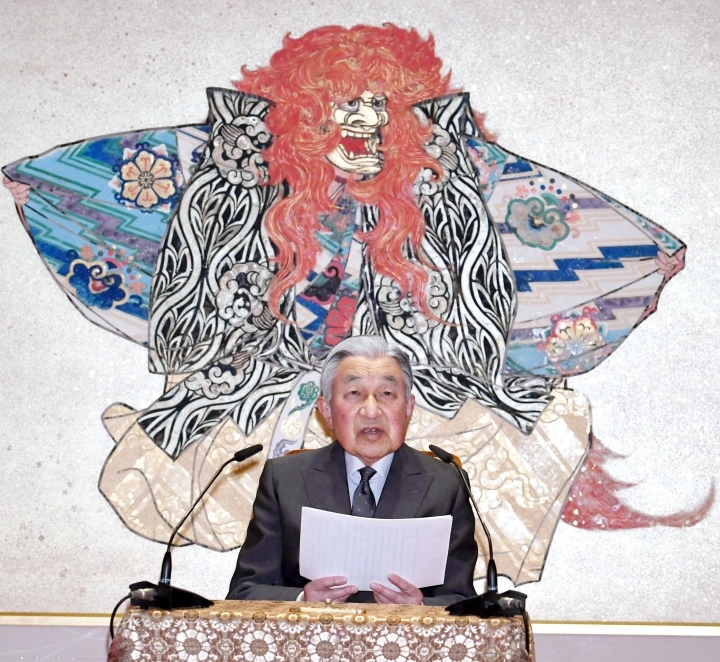 Though Akihito has avoided a direct apology, he has subtly stepped up his expressions of regret in recent years in carefully scripted statements on the war. 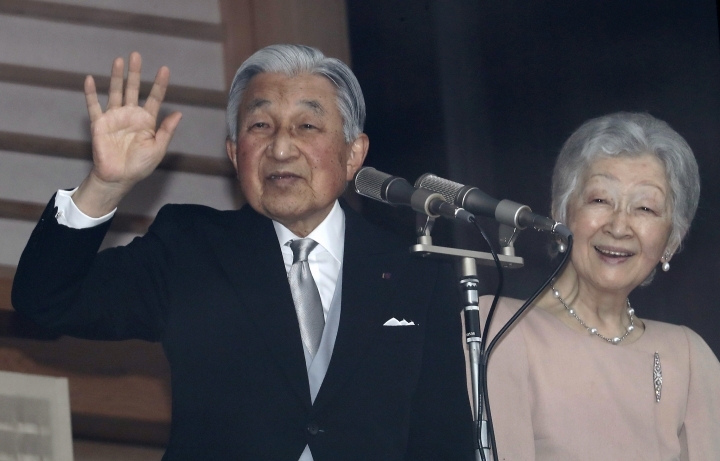 Akihito said he won't forget those trips with his wife, Empress Michiko, and thanked those counties for welcoming them despite their bitter memories of the war. "I am grateful to each of those countries for welcoming us with warm hospitality," he said. 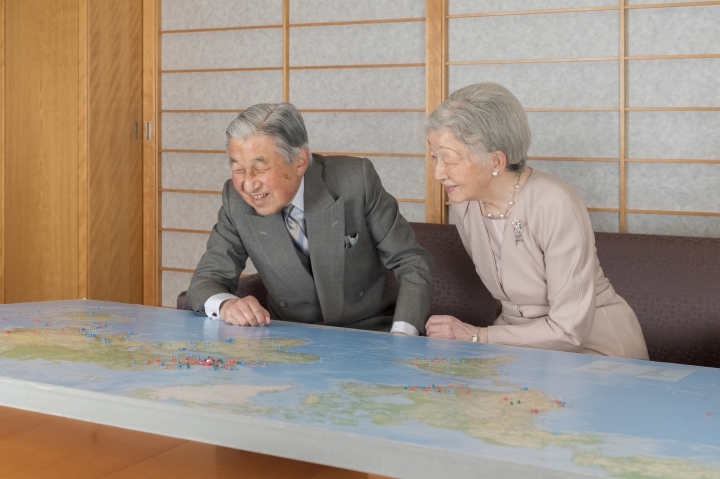 At home, Akihito particularly cared about Okinawa's difficult history. The small southern island was the only site of ground battle in Japan. Okinawa was under U.S. occupation until 1972, two decades behind the mainland, and is still burdened with American troops stationed in Japan. Okinawans feel they have been sacrificed for the mainland as Prime Minister Shinzo Abe's pro-U.S. government is currently forcing a relocation of disputed Marine Corps air station on Okinawa's eastern coast. 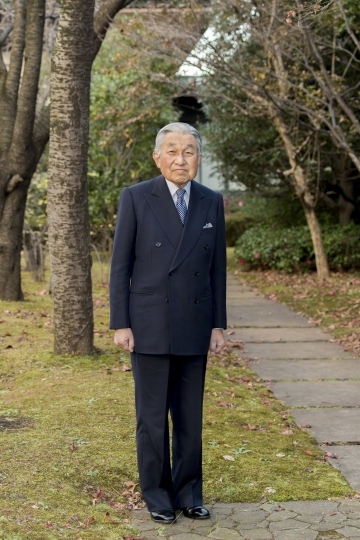 During his father's reign, Akihito himself was almost hit by a Molotov cocktail on a 1975 visit to Okinawa, where tens of thousands of civilians died in intense fighting near the end of World War II. He and Michiko studied the history and culture of Okinawa and kept visiting. "Okinawa has experienced a long history of hardships, including what happened there during the war," he said. "We are committed to continue to care for the sacrifices that the people of Okinawa have endured over the years, and that commitment will remain unchanged in the future." 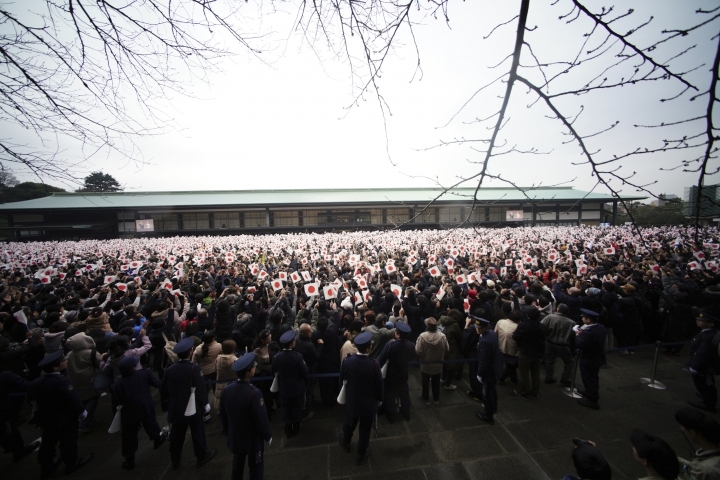 Akihito's pacifist image and his compassion for disaster victims, the handicapped and the minorities have gained public support for him and his family. 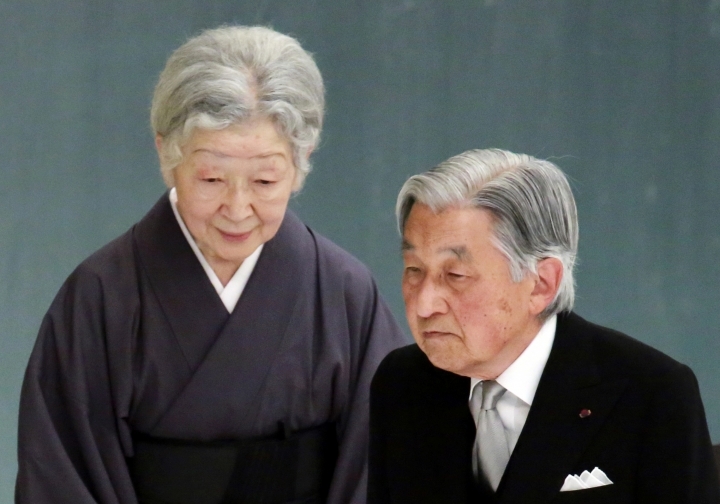 Experts say Akihito's pacifist views may have come from his childhood wartime experiences. 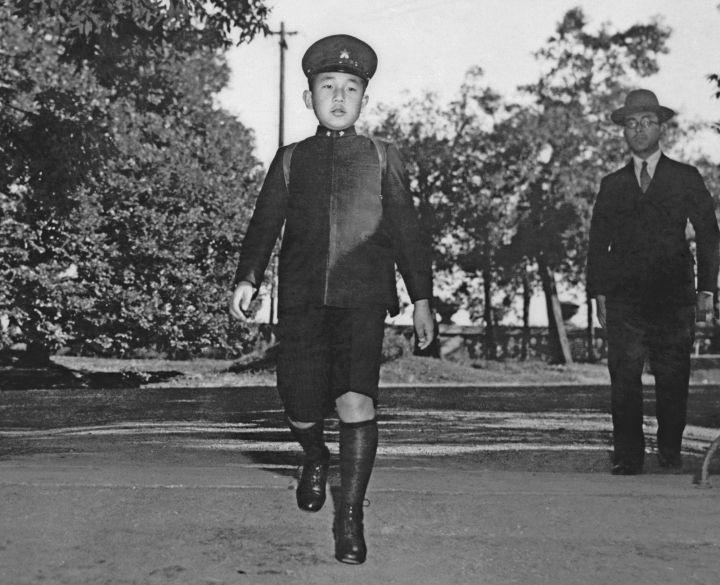 Akihito was 11 years old when he heard his father's voice announcing Japan's World War II surrender on the radio on Aug. 15, 1945. During the subsequent U.S. occupation of Japan, he was tutored in English by Elizabeth Vining, a Quaker, an experience that experts say gave Akihito his pacifist and democratic outlook. 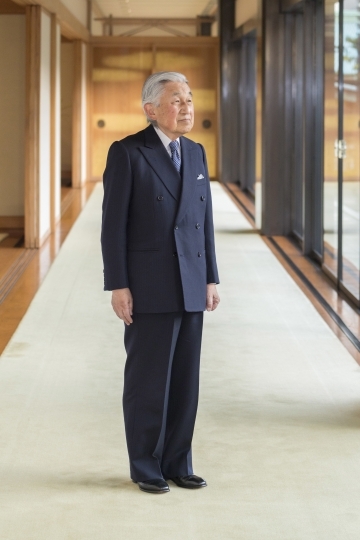 In recently released wartime diaries and notes of schoolteacher Koichi Suzuki, who taught Akihito and his classmates during their evacuation outside of Tokyo in the last two years of the war, Akihito's life is removed from his parents amid food shortages and frequent air raid sirens. 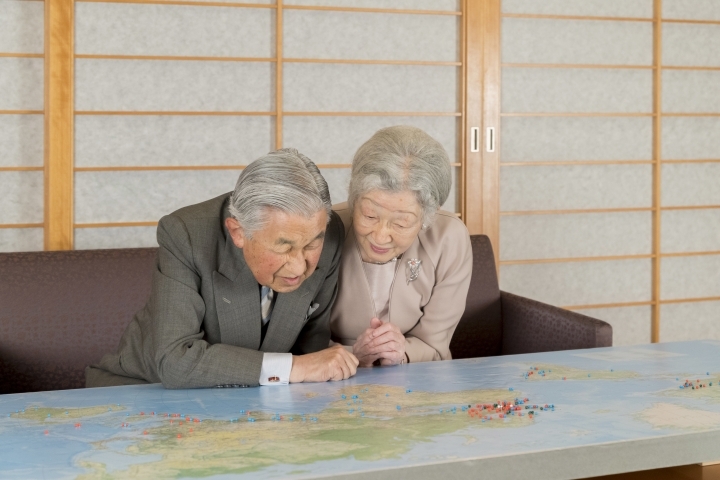 On Aug. 13, 1945, Akihito and Suzuki had to run up the hill as eight U.S. warplanes flew above them the moment they jumped into an unfinished bunker, Suzuki wrote. 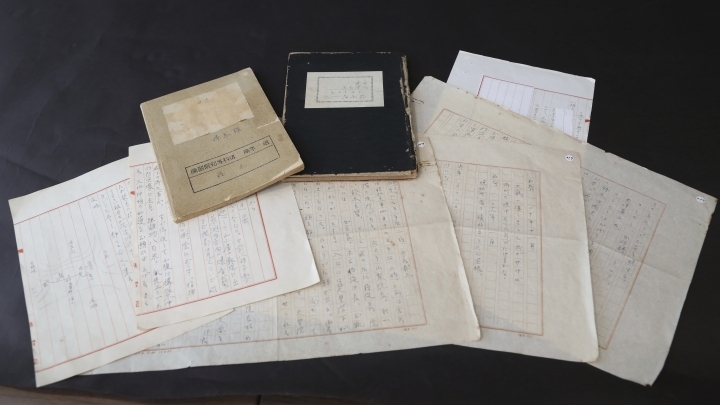 His April 17, 1946 note showed Akihito read a haiku about the people living in barracks in the devastated neighborhood under the falling snow. 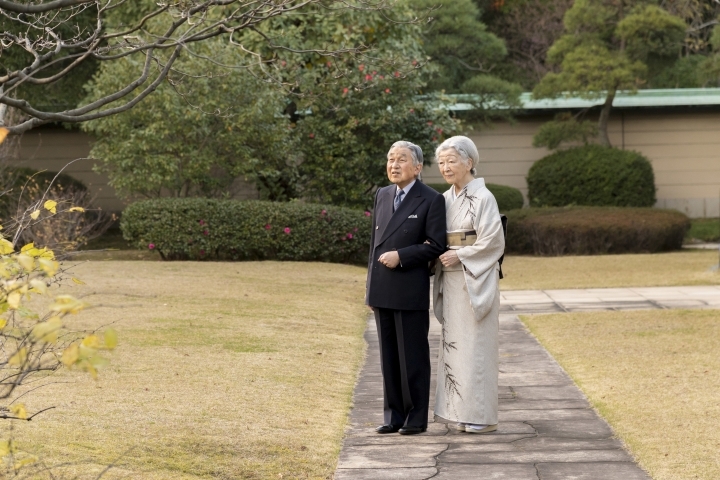 Akihito, in his birthday message, fondly recalled receiving many dignitaries visiting Japan after its return to international society with the signing of the 1952 San Francisco peace treaty. 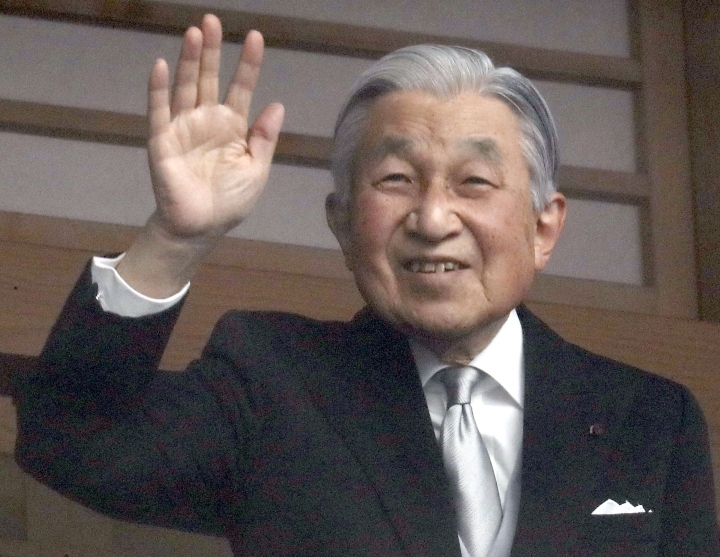 Akihito is the first emperor enthroned under Japan's postwar pacifist constitution as the symbol with no political power, unlike his father, who was revered as a god until the end of the war. 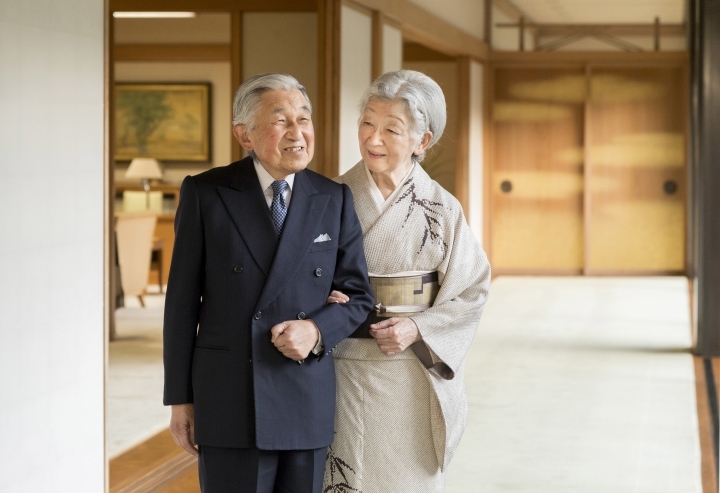 As crown prince and emperor, Akihito has tried to bring the secluded palace close to the people, and thanked everyone including his wife Michiko, a commoner, for understanding his views and supporting his work. 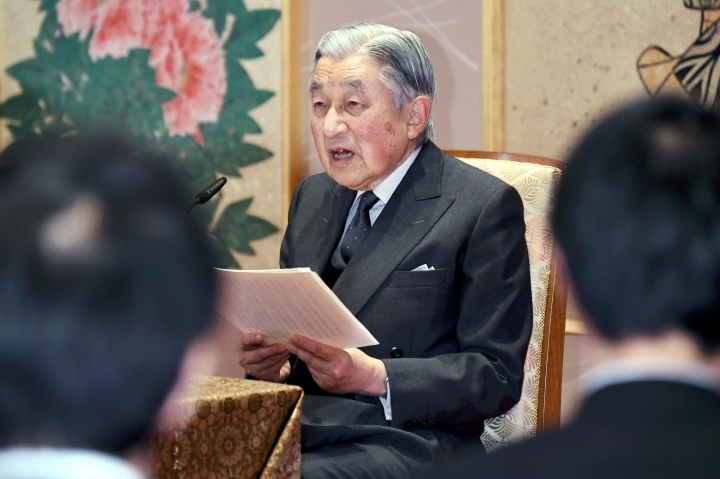 "As I come to the end of my journey as emperor, I would like to thank from the bottom of my heart the many people who accepted and continued to support me as the symbol of the state," he said, and reiterated his respect and adherence to the war-renouncing charter and his symbolic role. 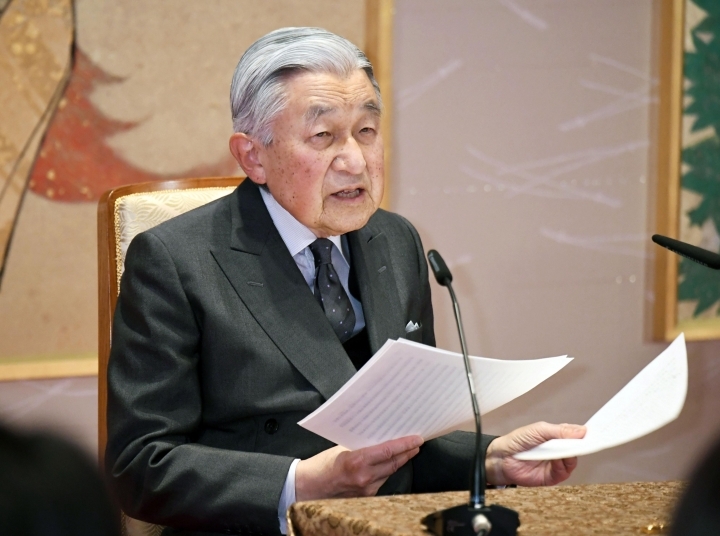 "I intend to carry out my duties in that capacity and shall continue to contemplate this question as I perform my day-to-day duties until the day of my abdication," he said.